Tamul Plates Manufacturing Pvt. Ltd. is a green, social business that produces and markets high-quality, all-natural biodegradable disposable dinnerware made from arecanut (palm tree) sheaths. 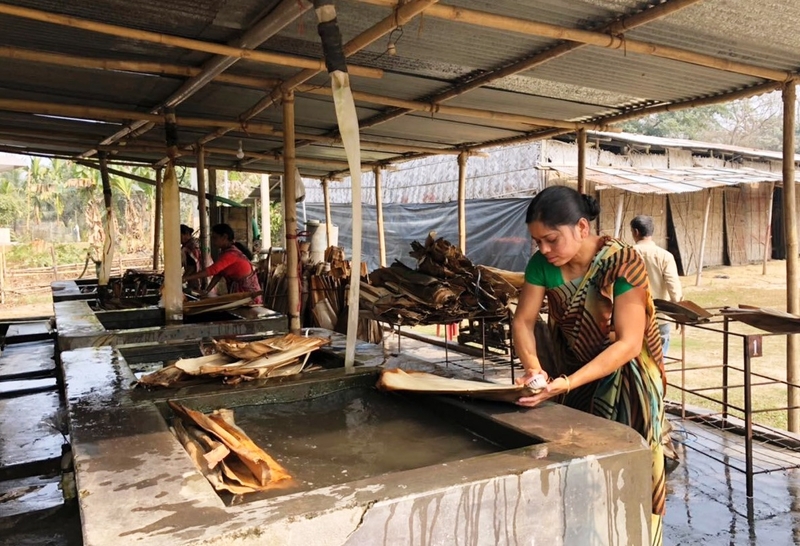 With over 100,000 hectares of arecanut plantation currently present across Northeast India, this dinnerware production could become a major year-round employer in poor tribal communities across Northeast. The supply chain and production is local and women-centric, allowing the women to engage in livelihood within their context. Tamul Plates believes that generating jobs for women and youths transforms their lives and drives social change. To enable the social business take the next step in its own growth, Women on Wings recently worked with Tamul Plates in Barpeta, Assam, on various HR related issues such as organizational structure and roles & responsibilities. The Women on Wings team, comprising Joke Hartlief, HR expert at Women on Wings, and Shashank Teotia, sr. Business Consultant at Women on Wings, and Tamul Plates’ management did a SWOT analysis, identifying gaps for the short and long-term. Based on assessment of the existing organizational structures the Tamul Plates management was able to reframe the same. Tamul Plates and Women on Wings have been partnering since mid-2015. Since then, Tamul Plates has been able to double the number of women who find employment in the entire process of the biodegradable tableware.